Left to right: Mohammad Saeed Al Shehhi, COO, d3 and Malek Al Malek, CEO, TECOM Business Parks. After having created and grown a technology business incubator in Dubai, TECOM Group’s in5 network has announced plans to launch a new innovation center for design and fashion ventures in Dubai’s design hub, Dubai Design District (d3) in January 2017. 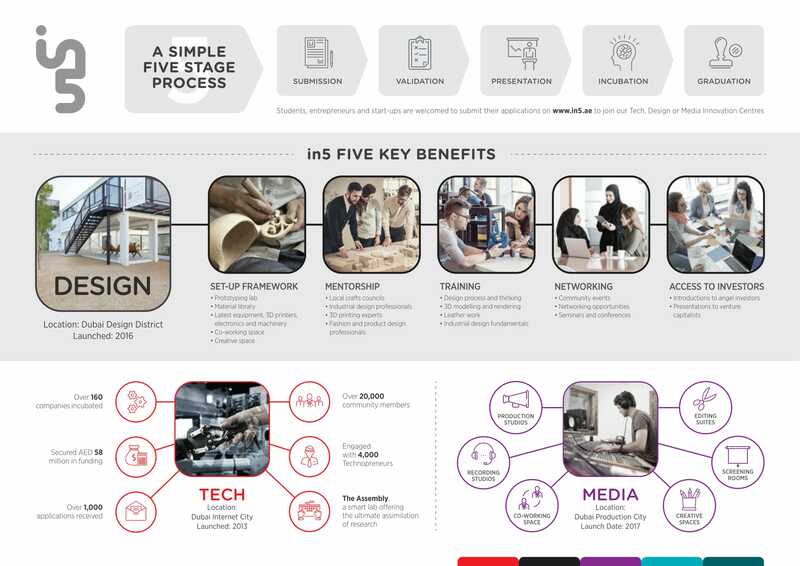 With an objective to provide access to the infrastructure and mentorship needed to grow creative businesses, the new in5 innovation center will offer co-working spaces and industry-focused training to aspiring entrepreneurs in the design and fashion space. As part of the specialized facilities, the in5 facility will host a prototyping lab, and equipment including 3D printers, other machinery for designers. In addition, members will also enjoy access to the materials and technology needed to develop their ideas into viable products. Owing to its structure and location, the incubator will also help create networking opportunities for the entrepreneurs and give them access to investors. "Having started with technology, in5 has evolved to supporting startups in the media sector and now with our entry into design, we will aid in setting a new benchmark in creativity,” Malek Al Malek, CEO, TECOM Business Parks, said in a statement. Launched in 2013, in5’s technology innovation centre has incubated 160 startups till date, and in5 also plans to open a media innovation centre that’s slated to launch in the first quarter of 2017. With the MENA’s design industry estimated to grow to reach US$55 billion in value by 2019, and industry reports stressing on the need for at least 30,000 design graduates, TECOM Group says it is keen to help support this growth phase with the new in5 innovation center.